By now, everybody has heard of the aborted takeover of British pharmaceutical firm AstraZeneca by US giant, Pfizer. The latest in a series of US corporate inversions, the new corporate structure was to be headed by the smaller UK company, thus largely spiriting the merged group beyond the lascivious tentacles of the US Internal Revenue Service. Fascinated by the subject, I trawled the quality press and professional literature for relevant articles. As I will explain later, despite the extensive coverage of the topic, I was utterly frustrated by the universally poor standard of reporting. The experience brought back vivid memories of my first fresh-off-the-production-line car. 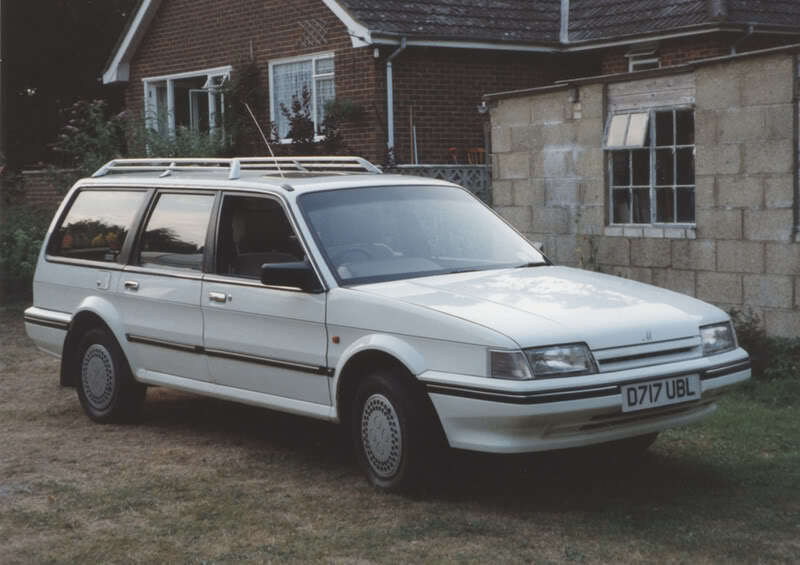 Twenty-five years ago, I took delivery of a sparkling white Austin Montego. To be precise, by that stage in Austin’s long and painful decline as part of the government-owned British Leyland, it was simply a Montego: an orphaned car, no make or mark willing to admit parenthood. I think I realized there was something wrong when I first clapped eyes on it. Arriving at the delivery point, and after completing the relevant paperwork, I was confronted with a neat row of identical vehicles. I noticed that one of the newborn had a white spot of paint disgracing the otherwise pure black bumper. I prayed but to no avail. That was my car. A black blob hurriedly splashed onto the offending area, the car was soon heading for home with yours truly at the wheel. By the time I reached our car park, the driver’s mirror had fallen off the windscreen. By the end of the 12 month guarantee period the car was on its fourth alternator. Driving the Montego made me imagine piloting a Spitfire in the Battle of Britain. Before the car was finally towed away for the last time from under our house some twelve years later, anything that was not bolted to the exterior had fallen off and the lining of the ceiling had sagged down as far as the dashboard, giving the impression that the car was a mobile bordello. Some years later I saw a documentary about the, by then defunct, factory where my car was built. A group of former production-line workers sat in the pub explaining how it all worked. 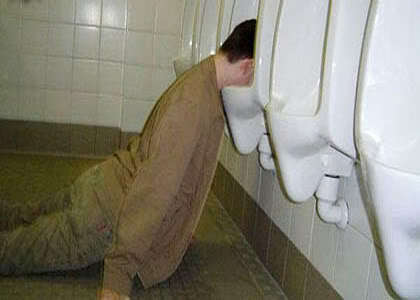 It turned out that, if someone was sick, late for work or needed a pee, the production line did not stop. When it got to fitting their part, either one of the other workers did a rush job or, if the part was not considered critical by the professors manning the production line, it would simply be omitted. This was related without humour or bitterness – just that confident matter-of-factness that is the mark of the unmitigated moron. Every single article that I read about US corporate inversions (and there were many) had critical parts missing or not properly connected to each other, resulting in the whole being incomprehensible (even after trying to put the jig-saw puzzle of articles together with all the pieces laid out on my dining table). Had the articles been my Montego, by the time I got home on that first day I would have been driving an engineless go-kart . The thinking behind inversions is that, since US corporate tax is punitive and there are loads of planning schemes on how not to pay tax on unremitted income from abroad – there is a clear advantage in a US group having its parent company in a convenient jurisdiction beyond the shores of the United States. Enter the corporate inversion which, once upon a time, enabled the shareholders to quite simply insert a foreign holding company between themselves and the US company. Convenient locations were the usual suspects that had the common virtue of never having heard of income tax. In 2004 the US authorities woke up and imposed anti-avoidance legislation that effectively ignored the inversion to the foreign jurisdiction if at least 20% of the ownership in the new parent did not pass to third parties. The exception to this rule was if there were substantial business activities in the foreign jurisdiction which led companies to start looking at slightly less sunny jurisdictions such as Switzerland and Ireland where tax could be magically reduced to manageable proportions. With the recent wave of mergers of the Pfizer – AstraZeneca type (the UK is still a lot more favorable tax location than the US) which meet both the 20% rule and substantial business activity test, Congress is now considering upping the 20% to 50% and tightening up the substantial business activity rules. Loss of control is expected to be just a little too much for the average US multinational. The problem with the available literature on the subject is that, while inversion transactions are presented (on an amalgamated basis) as dark acts of genius to escape the draconian levels of US tax while avoiding US CFC legislation and enabling tax-free repatriation of cash, it is far from clear how any of this is to be achieved. Firstly, the transfer of the US company under the new foreign parent appears to be a s367a transaction which only escapes tax if a Gain Recognition Agreement is achieved with the IRS (under the circumstances I don’t know if that is a slam dunk). Next, if the US company wants to avoid CFC legislation it needs to sell/dividend/transfer its foreign subsidiaries to the foreign parent – which would generally involve a lot of tax. As regards ‘repatriation’ of cash trapped abroad, unless the US company’s foreign subsidiaries are transferred to the foreign parent, the profits still have to pass through the US company – incurring the same US tax as before the merger plus likely withholding tax to the foreign parent. While some articles clearly state that the CFC problem would remain, others hint at the US company disappearing into the new foreign parent. One states that the main advantage is that the foreign parent could loan extensive amounts to the US company enabling US profits to be cut by half due to interest expenses. When it comes to repatriation, I found one truly beautiful and incomprehensible graphic that has the merger involving cash payments to the US company and subsequent loans from Barbados through the foreign parent to the US company. I discussed all this with two US international tax experts who sympathised and went off to lunch. My take on all this is that inversions must be very complicated and financial journalists cannot afford to burn copy when they realize they are out of their depth. I do wonder, however, whether with Congress hot on the tails of multinationals (Senators also presumably do not understand what is going on), the planning may be a little too clever for comfort. In that same documentary about British Leyland, there was a piece about the Triumph Stag. The Stag was a cabriolet designed in Italy, the contours of which were generally considered to be thirty years ahead of their time. It was a truly magnificent driving machine. While Triumph’s sister mark, Rover, fitted Buick 3.6 litre engines in its top-of-the-range model, the executives at Triumph decided they could go one better. 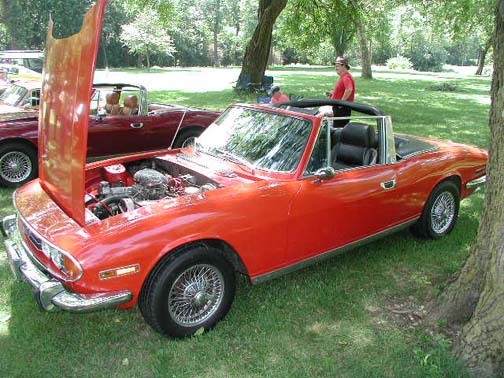 Triumph had a boring family saloon called the Dolomite that just happened to have a 1.8 litre engine. You guessed it. They took two Dolomite engines and fused them together. This explains why, throughout my youth, when traveling on motorways I would regularly see Stag owners lounging luxuriously in their Italian leather seats, waiting to be towed. There has to be a lesson there somewhere. I enjoyed reading about your Montego experiences – even though I thought the connection to the inversion issue was a little spurious – but hey, who am I to question your blogger’s license. (And that’s no joke, you somehow churn out witty and informed content each and every week). I too once possessed a Montego, the top end Vanden Plas model. Perhaps if you had joined the upper crust like me, you wouldn’t have had to ignominiously send yours off to the knackers yard. I never saw the Montego documentary, but it must have been so funny – except to the unfortunate owners. Liked what you wrote about inversion ,particularly the fact that you as an expert don’t comprehend how its all supposed to work – so how can the journalists who write about it have any inkling. Loved the motorway Stag image – although it did shatter my perception of the vehicle. I’m afraid to say I still want one.